Atmosphere and people around. It s really closed to the center. Just perfect location. Finding the place was a little challenge as the building in this place are stacked pretty close. The receptionist was very good and helped us in everything we had asked for. When we returned from party late night we had forgotten our keys, she woke up and opened the door for us with a smile. Breakfast was amazing although limited options. All in all good stay for $5. It’s walking distance to most of the popular attractions in Hanoi. The place is actually pretty funky with a nice place to chill out in the Lobby. The ambiance was pretty good. Nice place in the old quarter with cheap dorms. Good breakfast, happy hour, pool table, tour bookings, airport transfer and more available. Near to ATMs, eateries/restaurants, park and night market. Staff were so friendly and nice. Facilities were excellent. I will recommend this place 100 percent. Excelent location, friendly staff help you in anything you need. Funky Jungle Hostel This rating is a reflection of how the property compares to the industry standard when it comes to price, facilities and services available. It's based on a self-evaluation by the property. Use this rating to help choose your stay! Opened in 2016, Funky Jungle Hostel is located in the heart of the Hanoi Old Quarter, 1,000 feet from Thang Long Water Puppet Theater and 1,000 feet from Old City Gate. Guests can enjoy the on-site gaming room, bar and lounge. Guests get to choose between the well-appointed shared or private rooms. Featuring a 24-hour front desk, Funky Jungle offers free beer, jungle drinks and Vietnamese wine daily for happy hour. Car hire is available. 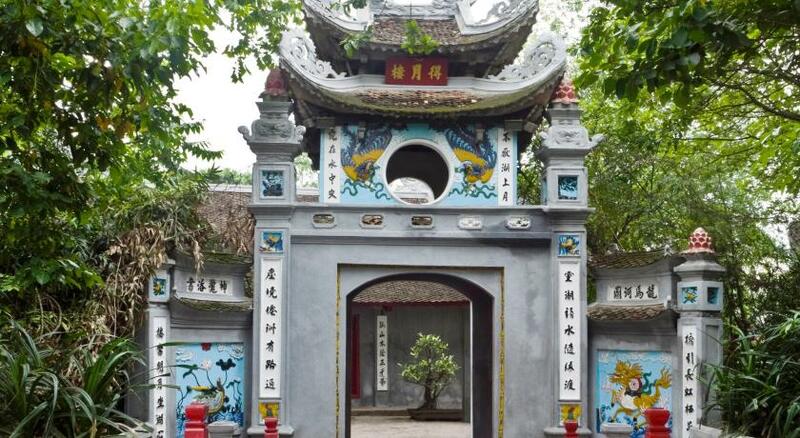 Ngoc Son Temple is 1,300 feet from Funky Jungle Hostel, while Dong Xuan Market is 1,950 feet away. The nearest airport is Noi Bai International Airport, 13 mi from Funky Jungle Hostel. When would you like to stay at Funky Jungle Hostel? House Rules Funky Jungle Hostel takes special requests – add in the next step! Funky Jungle Hostel accepts these cards and reserves the right to temporarily hold an amount prior to arrival. The staff were possibly some of the rudest people I’ve ever met. The woman that works in the morning is the reason we hated our stay there. We had to beg for toilet paper since they never replaced it when they cleaned the dorms. And that’s if we were lucky enough to actually get and not be told to wait because the gentleman behind the counter had to finish his game. The place is riddled with bed bugs, there’s black mold in the rooms. The best part of staying at the funky jungle was not being there and walking around the city. The breakfast was pathetic and I often got raw eggs in my bread. Firstly its in the best street in Hanoi! But, the woman that works at the reception in the morning is the most rudest person you will ever come upon in your life! There are bedbugs as big as cockroaches! The aircons is always broken or to warm or not working. Don’t ever think you will receive toilet paper, you’ll need to ask for it and thats if they have. In the morning when you have to go down for breakfast they have a huge variety but the rude girl at reception will just shout to you and say no we dont have this or that or this,but only that. They are also very unhelpfull when speaking to them. So I will definitely not recommend this hostel at all. Meeting the most wonderful travelers that i could wish for in my life! Funky can be a good thing but not when it translates in worn out and filthy. The bathroom was a combination of mold and rust. The room itself looks like a squad. I am a person that always seeks the best in things but here i coudn't find it. Not enough toilet roll and no soap in bathrooms. Staff didn’t seem very keen to help. Was cheap so ok but would not come back here. Hi gyus, warning. There are a lot of bedbugs in the hostel. The stuff has to pay attention to this problem!! Sometimes the staff had problems with english. Free beer was awesome! And has a pool table. I got robbed when I stayed here! I had my money in a locked locker (my own padlock) and as I was checking out I double checked my stuff & realised my money had been taken-don’t know how they (whoever it was) got into my locked locker. I told the receptionist (a man) as it was there that I realised it & his response was ‘you stayed in a dorm so it happens’-so I should expect to be robbed if I stayed in a dorm!!! We spotted a couple bed bugs in the property.